Offering the same great styling, clever technology and dynamic driving experience as the standard Qashqai, the Nissan Qashqai+2 brings added practicality to the table. Being a seven-seater there's more room in the rear for additional passengers, yet the model manages to retain its attractive styling cues and sense of fun. 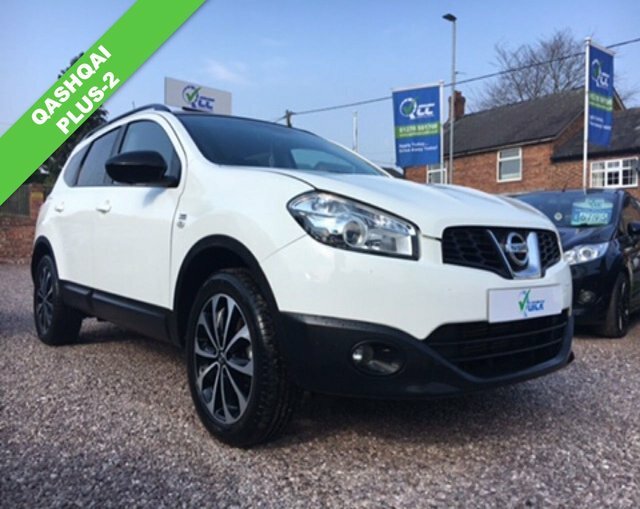 Why not arrange to test drive one of the used Nissan Qashqai+2 models for sale in Winsford at our showroom. Quick Car Credit is a leading supplier of quality second-hand vehicles and we'll go the extra mile to help you find the right used car to suit your lifestyle and budget. Start your search here on the website by browsing our latest stock.